The flag '2019' or '2020' in the date column to show kits that have been announced without a corresponding release date or simply the year of release. If the future release date is given as a 2nd quarter or third trimester, we'll list it as '2Q19' or '3T19' until a specific release month is announced. For those products that are announced that don't receive a firmer release date within a few months, we'll hide them from the active list until the item is formally scheduled or cancelled. There are a number of items on our hidden list that are over five years old from Trumpeter's previous 'Five Year Plan' that still haven't seen the light of day. You see them in Trumpeter's annual catalog as 'New' each year. When a release date (month/year) is listed, these are the dates when the kit is scheduled for release by the manufacturer, not necessarily the date when it arrives in any given country. Each item is removed from the list at the end of the month that it was scheduled for release. You'll note the 'NEW' and 'UPDATED' tags that show that an entry has been added or changed since the last update. These NEW and UPDATED tags do not indicate whether a given kit is a new-tooling or a reissue, just that the entry on the table has just been added or revised with more information or new release date. You'll also note that there are several kit manufacturers that are not listed in our tables and we get periodic emails wondering why. 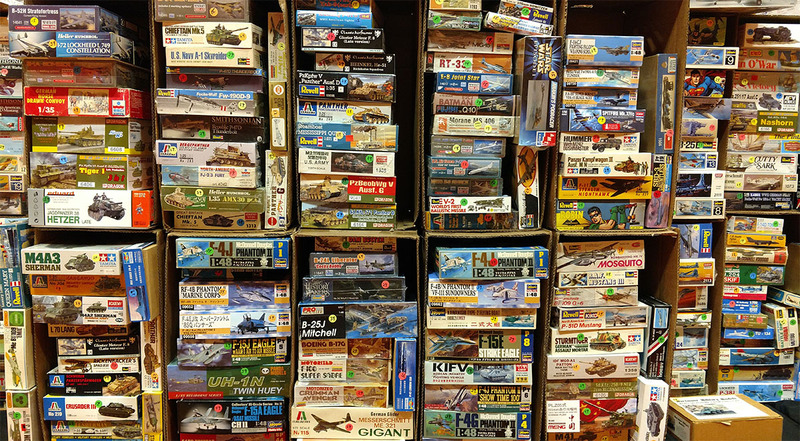 We do publish announcements from the various hobby shows and do our best to keep the lists up-to-date as we hear about the kits getting released. Once the news has been up an update or two, we'll remove those companies from the lists from whom we do not receive reliable information. If you have any news or corrections, please contact Michael Benolkin.